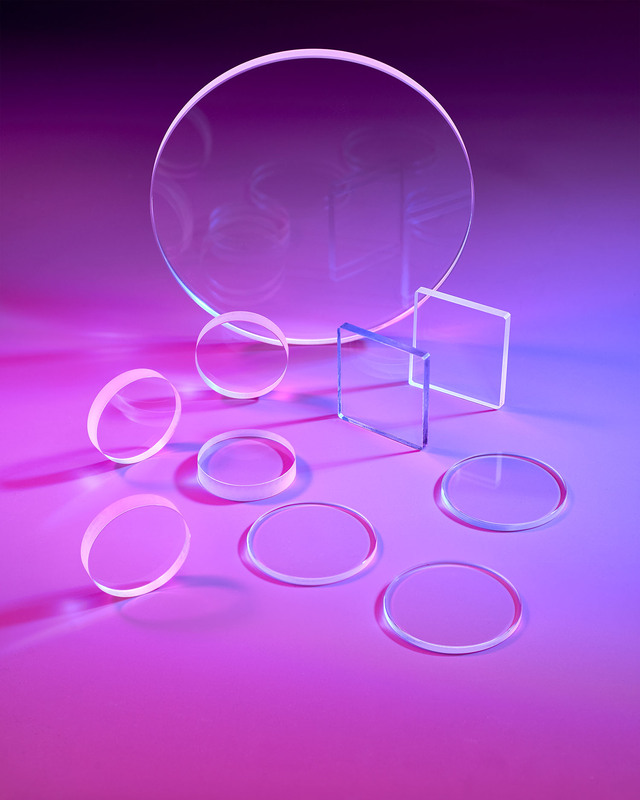 Calcium fluoride (CaF2) optics that operate from the UV to IR for use in spectroscopy, laser, and front surface protection applications is available from Meller Optics, Inc. of Providence, RI. Meller CaF2 Optics are manufactured to OEM specification as plano-convex, plano-concave, and meniscus lenses; as plane, wedged, and tapered windows; and as prisms in a wide variety of configurations. Featuring a highly polished surface for long life, CaF2 optics operate over a 0.2 to 9 microns range with 90-95% transmission uncoated. Offered in 1/4” to 5” dia. sizes, Meller CaF2 Optics can be supplied as windows, lenses, and prisms for a wide variety of applications including spectroscopic windows because of its high transmittance from 150 nm to 9,000 nm. Its low absorption rate and high damage threshold make it effective for detectors, sensors, and laser optics.